It’s 2016 Trudeau! Where’s the Gender Equality? “Because it’s 2015” was the iconic response from Canadian Prime Minister Justin Trudeau when answering a reporter’s question on cabinet gender parity. His words were praised by the international media and the short clip was relayed worldwide as Trudeau was heralded as a feminist world leader. However, while the cabinet may be gender equal, the same cannot be said for the House of Commons. Only 26% of the elected lower house is female, placing Canada 64th in the world in terms of gender equality in government at the legislative level doing worse than Cuba, Iraq, and South Sudan. This truth is painted over by the rosiness of gender equality in cabinet and an overall lack of conversation in Canadian media. The House of Commons has two main roles, to be accountable and representative to Canadian citizens. With 50.4% of Canadians being female, the House of Commons clearly is unrepresentative of the population. The last federal election in 2015 saw only a single point increase in the percentage of female member of parliaments in comparison to the 2011 federal election. Evidently, the rate at which gender representation is going, is far too slow for a country that is deemed progressive. To ratify this issue Member of Parliament (MP) Kennedy Stewart, representing the riding of Burnaby South, introduced a private member’s bill on the 25th of February 2016. The bill, C-237 known as the Candidate Gender Equity Act was a proposed amendment to the Canada Elections Act. The amendment would have reduced the amount of reimbursement that parties could receive after elections if the party had more than a 10% difference in the number of male and female candidates running. Currently, parties are eligible for up to 50% reimbursement if they can attain 2% of national votes or 5% in the ridings where they had candidates. Stewart’s amendment would calculate the reimbursement by subtracting ten from the percentage difference between male and female candidates and dividing that figure by four. Macleans applied this proposed formula to the 2015 elections where the Conservative party had the least amount of female candidates at 20% they would have had 2.3 million dollars deducted from their reimbursements while the New Democratic Party would have had 148,700 dollars deducted as they had the most female candidates of all the parties at 48%. Stewart’s intention behind the bill was to “create financial incentives for political parties to nominate more women, and to move toward gender parity…”. Since women first acquired the right to run for office nearly a century ago in 1920, they have never constituted more than 29% of candidates running for federal election. The House of Commons won’t be achieving gender equality any time soon since consistently, less than a third of the candidates running are female. Women cannot get elected if they are not encouraged to run first. The main reason there is a lack of female representation is because of a cited ambition gap. As a demographic, females are constricted by patriarchal social constructs such as the idea of being less capable than men. The 2011 Institute of Leadership and Management published research showing correlation of ambition and gender in a sample group of managers. The findings consistently showed that men had more confidence and less self-doubt than women. It additionally found that 17% of women found that parental responsibility was a barrier to career development in comparison to 7% of men. The School of Public Affairs in Washington D.C. cited five main factors that contributed to lower political ambition from females. Three of the five factors specify socialization as reasons for the gender gap. This is because political encouragement coming from media, parents, and society are directed towards males rather than females. The collective underexposure and lack of empowerment result in drastically lower female ambition towards politics. These studies show that it is imperative to encourage political engagement of youth and empower females and other underrepresented groups. Therefore, if the issue isn’t because citizens are not voting in females but rather it is the lack of women running for political positions. Bill C-237 would have been conducive towards increasing female candidacy and an intrinsic step towards equal representation. Critics of political quotas commonly cite lack of merit and tokenization as an issue. However, C-237 is not a quota in the traditional sense as there is a 10% leeway for gender differentiation. Parties would still be free to nominate whomever they wish at the cost of financial repercussions. The potential for the bill can be exemplified by the policies of the New Democratic Party (NDP). They are currently the only Canadian party to have specific policy targets in terms of representation. Last election 42.8% of their candidates identified as female and 40.9% of them were eventually elected into House. The difference between female candidacy and the percentage elected to office in the other two major political parties sees a 3-5% difference as well. Therefore it cannot be argued that this correlation is partisan in nature. Bill C-237 was killed off by a vote of 209 to 68 in its second reading. While it was a free vote, the vote opposing the legislation was mostly supported by the Liberals and Conservatives with a few MP’s voting out of party line. 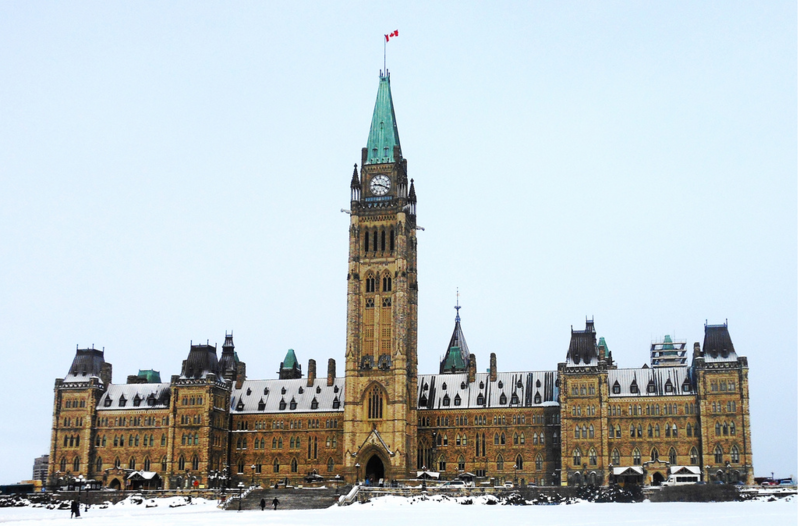 Through MP’s, the Liberal party expressed that because of the intention for electoral reform this amendment to the Canada Elections Act would be unnecessary. Liberal MP Anju Dhillon, the Parliamentary Secretary for Status of Women said “…it would be premature to adopt a legislative measure designed for a first-past-the-post-system”. One of Trudeau’s election promises was that the 2015 election would be the last one under a single member plurality or first-past-the-post system. However, there is skepticism on whether the Liberal government will follow through on that promise. In an interview with Le Devoir on October 19th, exactly one year after election day, Trudeau implied that because Canadians were more satisfied with the current Liberal government the demand for electoral reform would be less compelling. This interview lead to instant backlash from Canadians and the opposition parties. Soon after Prime Minister Trudeau and Democratic Institutions Minister Maryam Monsef reaffirmed the government’s commitment to electoral reform and clarified that the government would not be able to move forward without the broad support of Canadians. Just like gender representation, electoral reform is an issue that surpasses party lines. Reform could certainly be a tool towards addressing under-representation of not just gender but other minority groups. For example, proportional electoral models such as mixed members proportional that require creating a list of candidates can use zippering, the alternating of male and female candidates to ensure equal representation. This can also ensure representation of ethnic minorities, LGBTQ+, and indigenous peoples in the House of Commons Given that achieving representation of those identifying within the gender binary is a challenge, inclusive representation of those identifying outside of the binary will be an even greater challenge. However, since Trudeau’s promise to electoral reform cannot be guaranteed and that C-237 was defeated, Canadians must continue to question the current nature of the House of Commons and demand change in other ways. The patriarchal dominance of government is perpetuated not just through a lack of representation but the general misogynistic attitude towards women in house through heckling and lewd remarks. The Inter-Parliamentary Union (IPU) based in Geneva completed a study on sexism, harassment, and violence against female parliamentarians. Their results showed that the number one form of violence against female politicians was harassment through social media. 80% faced negative, demeaning, or sexist remarks made with the intention to discourage, humiliate or distress them. Scrolling through female parliamentarian’s social media feeds there is a plethora of negative misogynistic comments littered all over. There is a multitude of personal opinions about physical features, clothing choices, and questioning of women’s qualifications to hold public office. The public targeting of female parliamentarians contributes to the discouragement of females from engaging and being active in politics. Thus, patriarchal attitude in House combined with the inherent unrepresentative nature of candidacy selection, exacerbates and continues to perpetuate the ambition gap. This creates a viscous cycle that needs to be broken if Canada ever wishes to see gender balance in Parliament. The IPU states that “Having more women active in parliament can have the effect of changing the work atmosphere and gradually modifying the behaviour and mentalities of male colleagues enabling women to fulfill their mandates and serve their constituents freely and safely”. 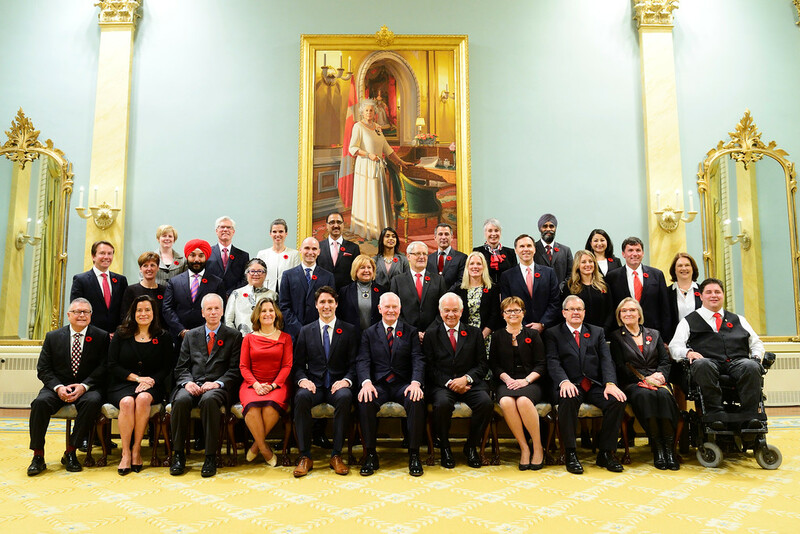 Gender parity of Cabinet offers hope and potential, but in order to fundamentally change the nature of Canadian politics there needs to be a revision of institutional norms. The government cannot expect to represent the voices of minorities when they cannot even represent the majority in Canada: women. Canada is continuing to increase in diversity so the importance of proper representation in governing bodies is more needed than ever. Prime Minister Justin Trudeau is not solely responsible for modifying the nature of Parliament rather, there needs to be collective institutional change via a strengthening of internal procedures and mechanisms in parliament is needed to emulate and cultivate the necessary change in environment. Girls should be empowered at a young age to get involved in politics. They should be told that they are all fully capable of becoming leaders and actors of political change. How are female parliamentarians supposed to represent the voices of others when their own voices are silenced? 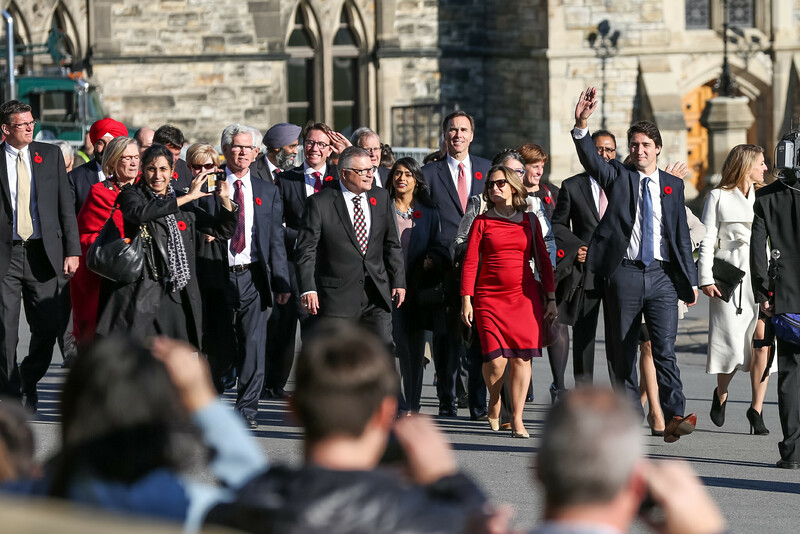 As long as a deficiency of representation exists, the vitality of Canadian democracy and effectiveness of the House of Commons can be called into question.